What Do You Want To Know About The 2018 Mercedes AMG E63 S Wagon? 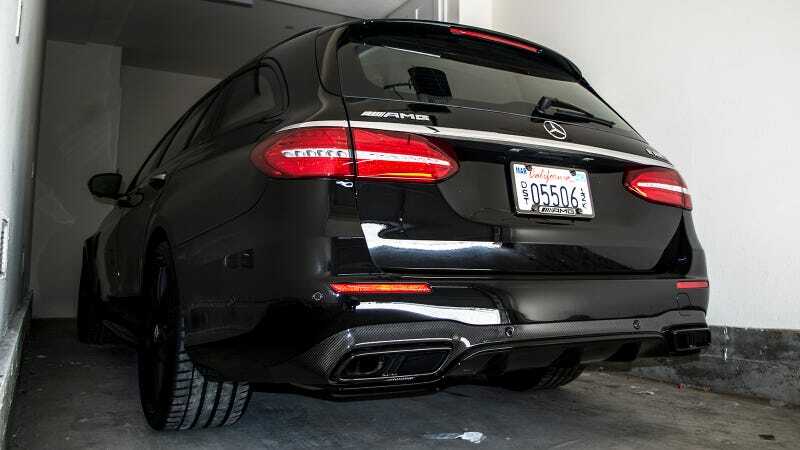 We finally have our hands on a 603 horsepower $130,300 2018 Mercedes AMG E63 S station wagon and are here to share as much of it as possible with all of you. Few cars embody the spirit of Jalopnik as much as a fast, fierce and also utility-friendly station wagon. And while we wish it had three pedals, come on. 603 HP wagon. Expect some finer photos, a more complete shakedown and maybe some takes on what it’s like to live with this thing soon. Meanwhile, now’s a great time to ask questions and hopefully we can satisfy your curiosity in the review. Party in the back, party also in the back. How Would You Configure Your 603 HP Mercedes-AMG E63 S Wagon?